The Chinese time order structure is very different from that of English. 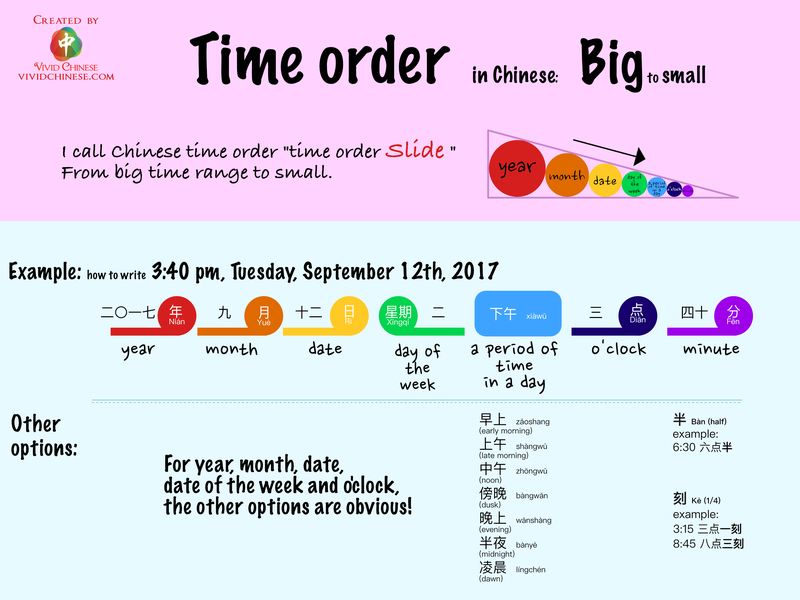 It is important for students to know the Chinese time order structure. When we created this infographic, we gave a new name for this time order. We call it the “Time Order Slide”. The “slide” goes from the bigger time range to the smaller time range. For instance, if you would like make an appointment at 3pm on Thursday. There are 3 time frames involved in this appointment, 3 o’clock, PM and Thursday. ⃞ I can recognize time-related vocabulary, including year, month, date, day of the week, a period of time in a day, o’clock and minute, in Chinese. ⃞ I can recognize time-related vocabulary, including year, month, date, day of the week, a period of time in a day, o’clock and minute, when people use them in a Chinese conversation. ⃞ I can say year, month, date, day of the week, a period of time in a day, o’clock and minute, in Chinese. 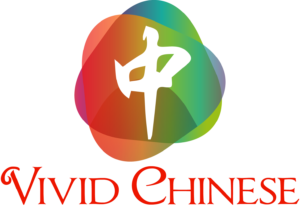 ⃞ I can write year, month, date, day of the week, a period of time in a day, o’clock and minute, in pinyin/Chinese characters. ⃞ I can put time-related vocabulary in correct order. ⃞ I can make an appointment in Chinese.